Ernest Hemingway was “a man of many wives”, four, to be precise. Over the 40 years between his first wedding and his untimely death in 1961 he also accumulated a fair number of mistresses, such was his irresistible magnetism to both men and women. In this work of fiction, we meet his four dutiful wives, each one thinking she would last forever….until the next one came along. I love reading about characters like Hemingway and the Fitzgeralds with their bohemian lifestyles and devil-may-care attitudes. 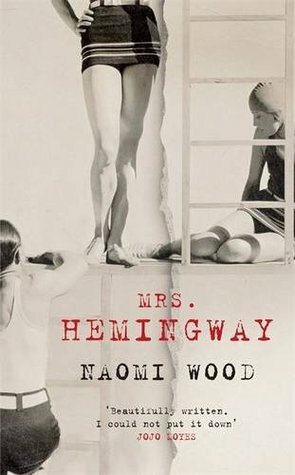 Naomi Wood opens another window onto this avant-garde world where Hemingway’s women compete with each other for his affections. They are intelligent, modern women but when it comes to Ernest/Nesto they seem to fall into a Svengali-like trance and just roll over. The novel is divided into four sections with each one devoted to a different wife, Hadley, Fife, Martha and Mary. The characters are well defined and realistic with their one major flaw being devotion to Ernest which allows them to overlook his personality defects. There is no villain of the piece – it would appear that Ernest is like a child in a sweet shop and unable to limit himself to one treat at a time. The writing is beautiful, elegant and sparse. It’s very easy to visualise the different exotic settings as Ernest flits from the Antibes to Paris to Cuba to Key West. This is a gem of a story which I found very hard to put down – it will remain on the “keepers” shelf, a rare occurrence these days! Highly recommended. Mrs Hemingway is published by Picador Books on 13th February 2014. This entry was posted on Saturday, April 19th, 2014 at 10:18 am	and is filed under Literary Fiction. You can follow any responses to this entry through the RSS 2.0 feed. You can leave a response, or trackback from your own site.